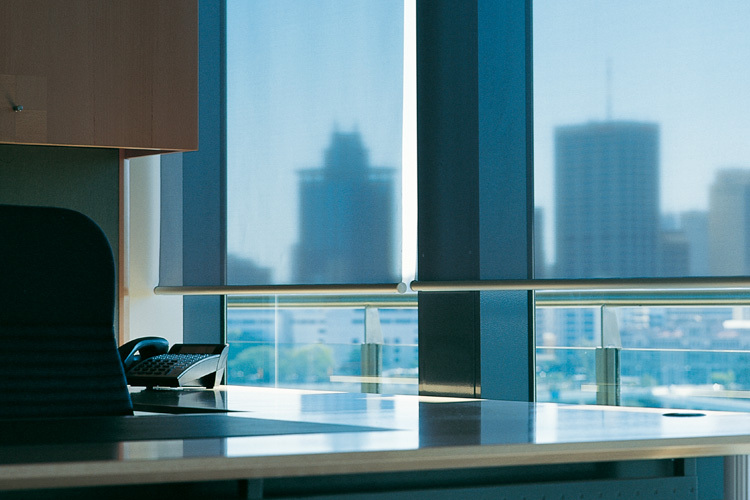 Roller Blinds are currently the most popular window treatment, due to their simplicity and clean lines. A key component of roller blinds is their environmental adaptability. Fabrics are able to offer a wide range of colours and textures, as well as different densities, from transparent, semi-transparent, translucent and blockout. 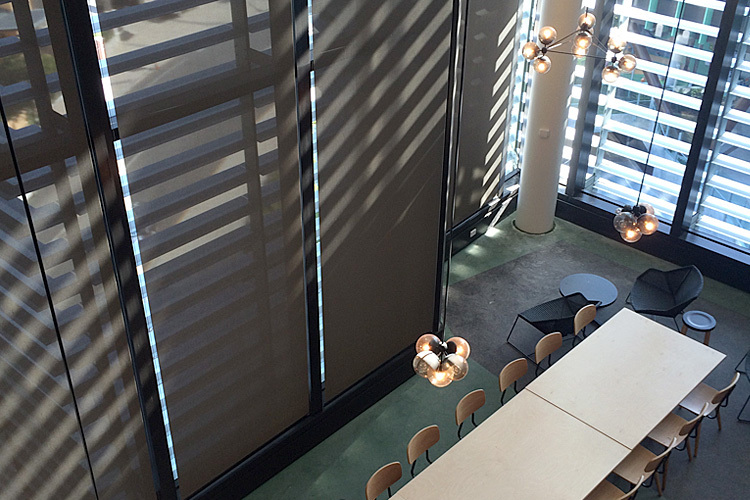 To provide additional environmental performance, metallised backed fabrics are used to assist with increased solar reflection and reduced solar absorption, which improve the workplace environment and air conditioning efficiency. For larger manual blinds, a spring assisted mechanism can be offered to provide easier operation and longevity of the blind. Motorisation is increasingly becoming a preferred mode of operation. With new technologies, motorisation has become more affordable and user friendly through building management systems and local operation.